MOSCOW (Sputnik) - Russian President Vladimir Putin has expressed his condolences to former US President George H.W. Bush over the death of his wife Barbara, Kremlin spokesman Dmitry Peskov said. "The president has sent a telegram of condolences to George H.W. Bush in connection with the death of his wife," Kremlin spokesman Dmitry Peskov told reporters. The wife of former President George H.W. 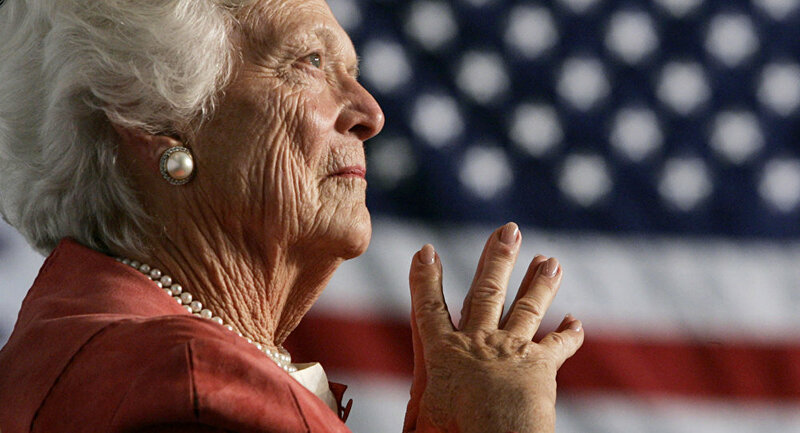 Bush and mother of former President George W. Bush, Barbara Pierce Bush, has died at the age of 92. During her time as the first lady, she established the Barbara Bush Foundation for Family Literacy, a nonprofit which began a number of educational programs all over the country. Twitter users have also offered their sympathies to the Bush family. Barbara Bush was a remarkable woman. She had grit & grace, brains & beauty. She was fierce & feisty in support of her family & friends, her country & her causes. She showed us what an honest, vibrant, full life looks like. Hillary and I mourn her passing and bless her memory.